This guide is designed to help small and medium tech enterprises ensure that they are respecting privacy and free expression in their products and services. Useful resources and further reading. 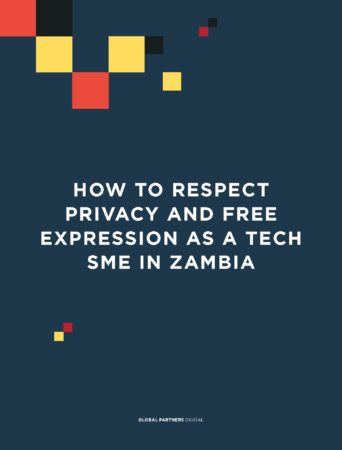 Although this guide is tailored to the local legal context in Zambia, it’s applicable globally, and can be used by tech SMEs in any country. Human rights defenders will find it useful, too – as a tool to initiate conversations with businesses about human rights; or simply a ‘cheat sheet’ or reference point when issues around business and human rights arise.